At Timber Springs Dental, we understand that your time is valuable. Our scheduling practices are geared to get you in quickly without rushing you through. Your time is valuable so we make it a point to stay on schedule. We allow ample time for our patients to get comfortable, ask questions and get prepared for the work that is to be done. 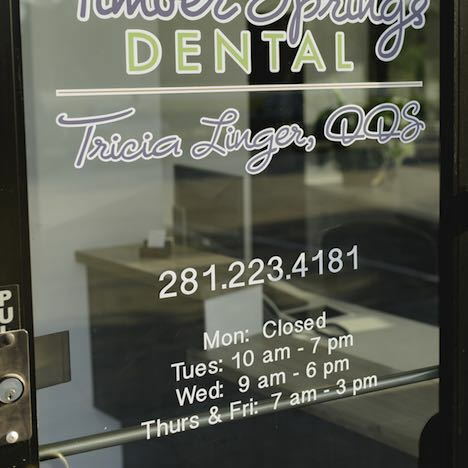 Time is a precious commodity and we do our best to make sure your time at Timber Springs Dental is well spent and not wasted by unnecessary waiting. We realize that not everyone can make appointments during regular business hours. We have extended hours to accommodate those schedules which require you to make your appointments before or after work or school. Some people cannot afford to take time off from their jobs to see the dentist so early morning or early evening appointments are available to accommodate your schedule.